Parmesan cheese, grated --- 2 Tbsp. Garlic, roasted, minced --- 1 Tbsp. Distilled white vinegar --- 1-1/2 Tbsp. Italian seasoning --- 1-1/2 tsp. Black pepper, ground --- 1/4 tsp. 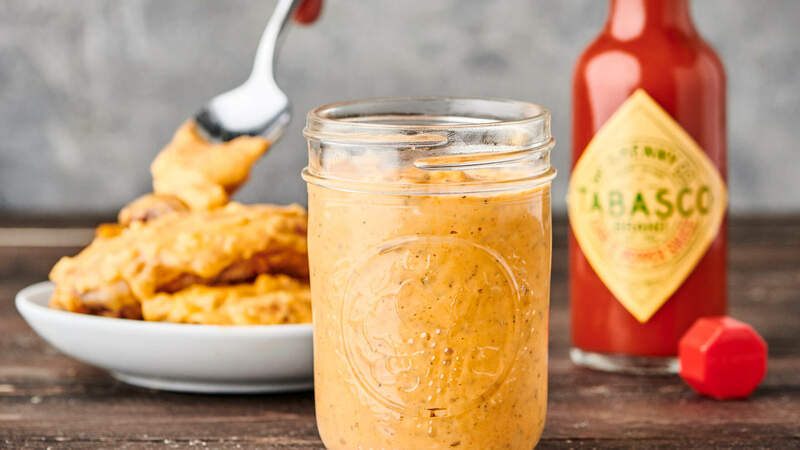 Combine all Garlic Parmesan Wing Sauce ingredients; set aside. Remove from oven, toss with Garlic Parmesan Wing Sauce and serve. Remove from fryer, toss with Garlic Parmesan Wing Sauce and serve.